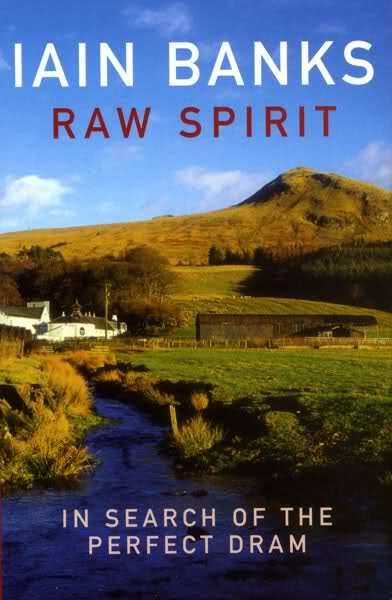 I don't think it's fair to classify Raw Spirit as a whisky book. Iain Banks gives us a great journal about Scotland, driving, wine and food as well as whisky. He starts his road-trip in search of the perfect malt but his journey shapes up as a homage to his homeland by any means. Like I said it is not a guide book about the distilleries or a list of reviews of different expressions. It feels like sitting next to an inspiring storyteller and getting into a cheerful chat when he is eating up the miles of "great wee roads" of Scotland behind the wheel. You never know where the conversation will bring you... Sometimes international politics, sometimes stories about friends, sometimes cars and motorbikes or his favorite restaurants. You listen, enjoy to be part of it and let Banks drive you to the next destination. His fluent, humorous and easygoing style of writing when he is hopping from distillery to distillery actually reserves also a great amount of detailed description of Scotland. I strongly recommend this book to anybody who is interested in good storytelling in general. 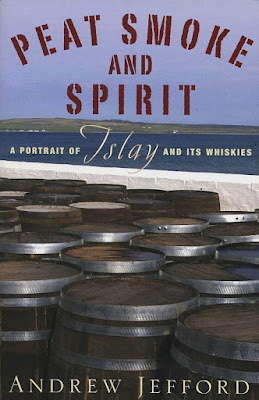 I read Peat Smoke and Spirit just before I traveled to Islay two years ago. I think no other publication could prepare me more than this book to spend a week on the island by myself. 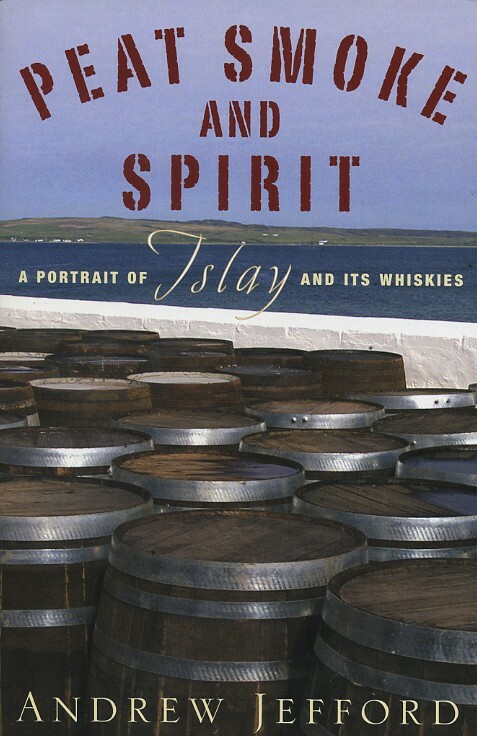 It is again not a book only about the distilleries and their whiskies but also about the history of the island, wild life, geography, cultural heritage and community life on Islay. Andrew Jefford is doing a great job combining all the encyclopedic facts with practical everyday info and creating an extremely enjoyable informative book. I really respected the amount of time he spent on research to put this book together. I have to say that he really helped and inspired me when I was planning my days on the island. Even if you are not traveling to Islay soon but interested in this gorgeous island and it's whiskies it is a pretty enjoyable read. Now, this is a totally fun book to read... 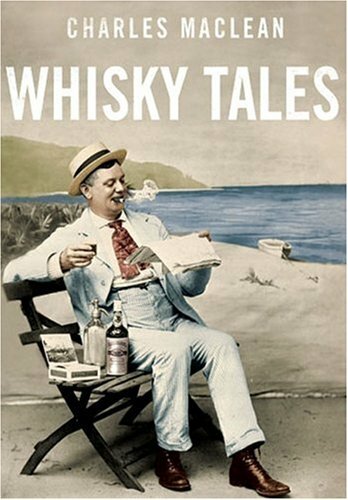 The book covers a lot of basics of whisky production and whisky consumption but every chapter is surrounded also with random compilation of poems, anecdotes, songs, toasts, history lectures, riveting stories, whisky trivia and fun facts. 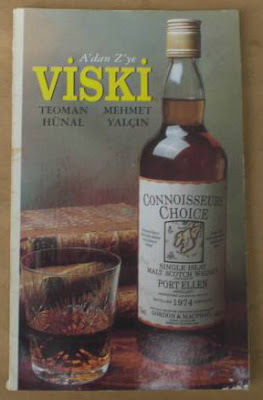 Everything is supported by illustrations, old whisky ads, prints, etc in a very old school way. You can open any page anytime you want and start from there like flicking through a magazine. Such an amazing spare time and/or vacation book to accompany an afternoon dram. I would suggest to get the paperback edition because you will want to bring it wherever you go. Guaranteed amusement..! When I was visiting Istanbul this summer I had the chance to visit and meet Mehmet Yalcin who is the owner and the chief editor of "Gusto" magazine the first magazine dedicated to food and drinking culture in Turkey. After a very satisfying and exciting chat about whisky he generously offered me a copy of the first and only whisky book published in Turkey he wrote with Teoman Hunal years ago in 1994 when whisky was starting to be a new trend in my homeland. The book went out of print long time ago and it is a pretty rare item now.